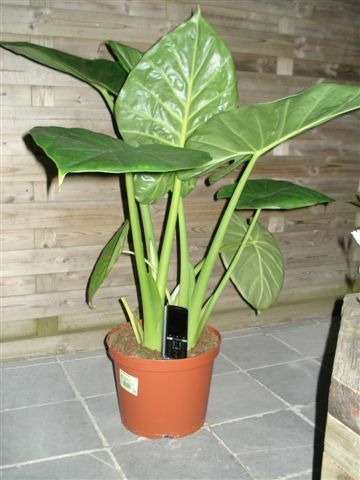 Care: Put the Alocasia calidora on a very bright place in the living room, for example near a window without direct sunlight. If the air humidity is too low, the leaves will dry. In that case, it is advisable to humidify the plant regularly. The leaves grow towards the light. Turn the plant regularly to prevent it form bending over too much. The Alocasia calidora does not like wet feet. The soil must therefore not be wet and there no water must remain in the saucer for too long. During the summer, this plant can be placed in the garden on a sheltered spot in partial sunlight. With good care it will regularly produce new leaves. The oldest leaf then usually dies off. Be aware that this plant may drip. So be careful with wooden undergrounds! 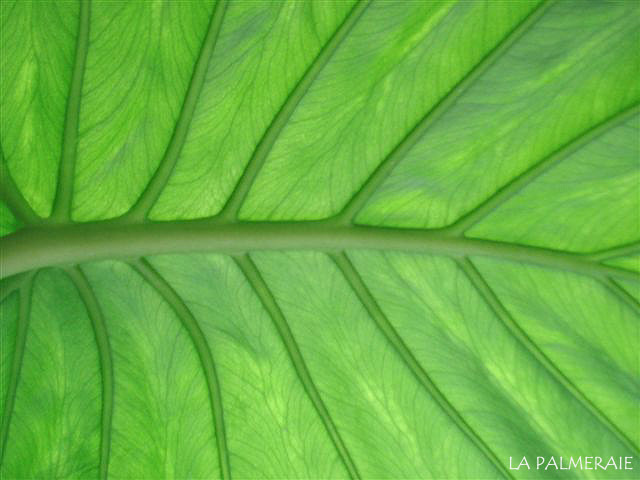 Use: This tropical plant is a true eye catcher in your living room. Guests immediately will ask you about it. 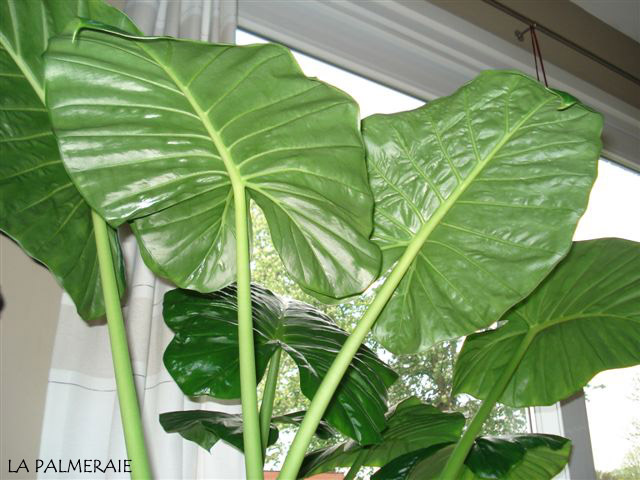 Due to his tall petioles and large ribbed leaves. It has a very trendy look and will look great in a large container. 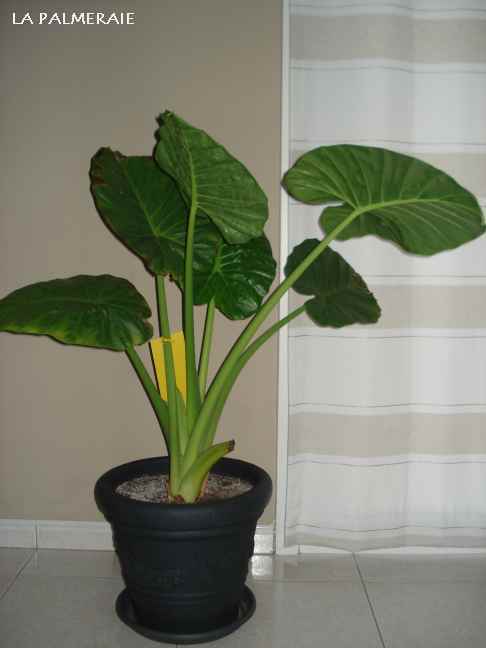 The Alocasia calidora is actually a crossbreed of other Alocasias originated in England! In their natural habitat, the rhizomes are eaten by the locals.